Seriously. Look at this. 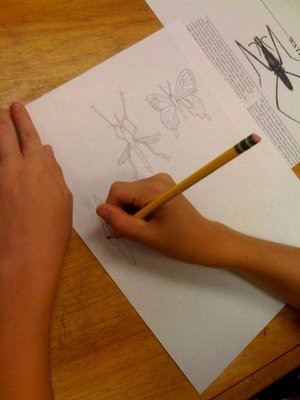 These are 4th graders and without exaggerating...MOST of them draw this good. I am pleasantly surprised at the level of artwork coming out of these children. It gets me excited about all potential art projects we can do this year. 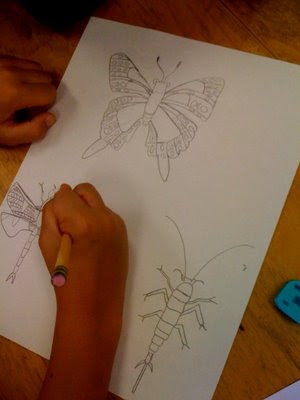 We are drawing insects from observation (looking at detailed pictures of them), we do not trace, we just use our eyes to help us draw. I am loving the results. 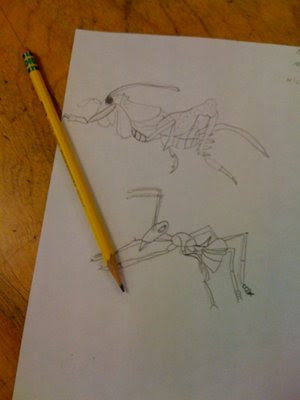 This is just the first step to a really long project, our bug jars.